GRAVENHURST — Ignite the night. 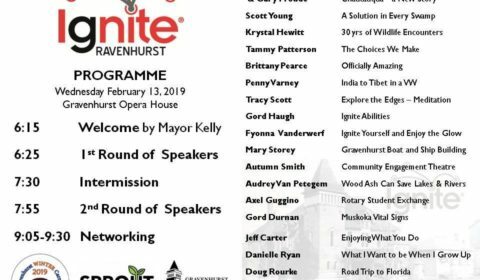 It’s the opening of the Gravenhurst Winter Carnival and a number of people have been invited for another in a series of Ted Talks to talk or boast about a wide array of subjects and show what they’ve got. Grab your Skokie Button and join them downtown at 6:15 p.m. as Mayor Paul Kelly kicks off the five days and nights of fun.